Submitted by lynn on Monday, December 11, 2017 - 9:52am. By the way, the customized yogurt pic is from Menchie's Frozen Yogurt. I noticed the waffle iron in the store and had to add a waffle to my stackup! Yummy! 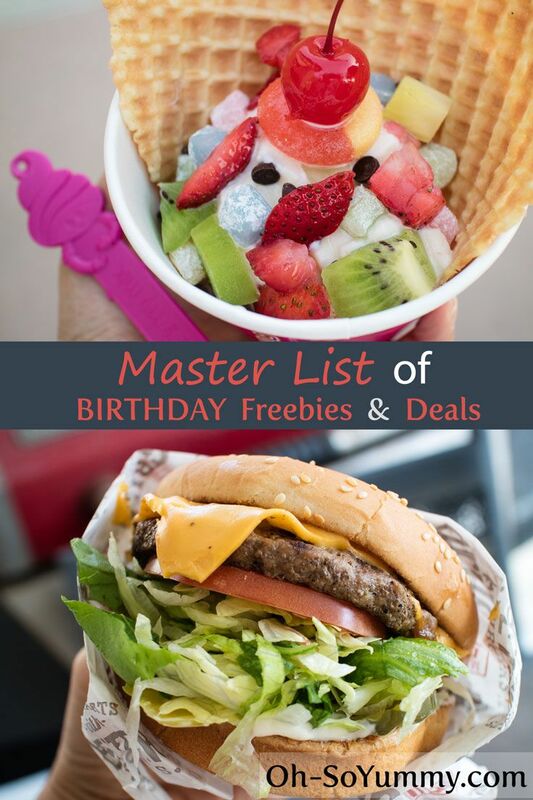 You can also check out my previous birthday freebies roundup. Expires - Shows the number of days a promo is redeemable following your birthday. Promo - Items in the "Freebies" section are either completely free or enough discount for a free item (depending on choice). Items in the Deals section requires purchase. Notes - Extra info on how to redeem the freebie or deal, such as showing the email, printing out the offer, using your member phone number or email, or using an app. We all love freebies! These are the ones that I've signed up for this year. This section can be sorted by category by clicking on the header. Disclaimer: All referral links or codes are clearly marked in the "Notes" column. Note 1: Cafe 21 did not send me an offer in December but Mary received one in October. Last year I received the promo so the promotion may have recently changed. Note 2: Jimmy's Famous American Tavern did not send me an offer in December but I received it last year. I noticed JFAT does not have a birthday field on the signup so the promotion may have recently changed. Even though these require purchase, these are ones that I've either used in the past or are ones that I am interested in trying. I may add more from ibirthdayclub.com (San Diego only) but signup is tedious due to individual forms per business. We suggest picking restaurants that you really want to try. Did you enjoy my list or find any new spots? Please share with your friends! You can also pin this post for later! 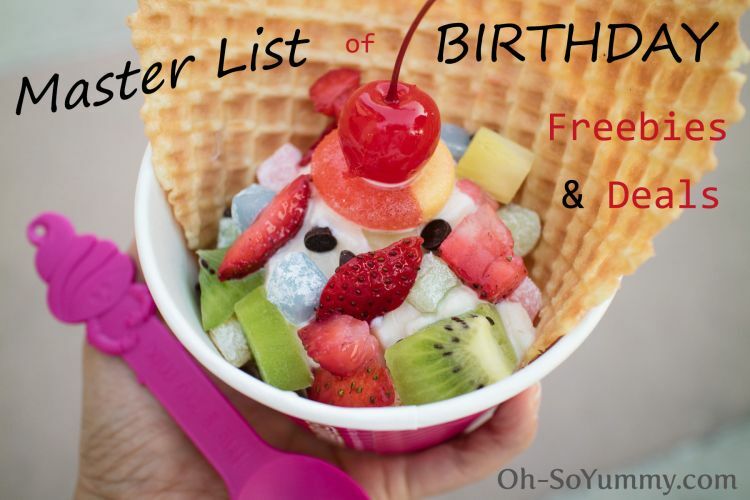 This is a great post, I love getting freebies for my birthday! !